Steve Farzam is currently working as a COO, but he is actually known for a lot of things beyond his profession or his job as the COO. Even as a COO (of Shore Hotel in Santa Monica), however, he has managed to accomplish quite a bit. While the consistent and steady growth of Shore Hotel and the reputation they enjoy in Santa Monica is certainly something that may impress many, it’s things like investing huge amounts of money into its employees’ education and working on initiatives that promote an environment-friendly approach that are really some of the most unique achievements a hotel or its management could boast of. Steve Farzam ensured that the success and growth of Shore Hotel was far from the only goal for the management. He believes in placing a lot of emphasis in the success of his employees as well, and being more respectful of the environment is one of his key areas of focus, too. Apart from that, Steve has also made some surprising contributions to many social causes, which is probably something quite rare for a COO of a well-known company. He has been actively giving back to the community and strongly believes in doing so. He has apparently been working hard on making things more eco-friendly, as well as making contributions to the community that help people live a better quality of life. Right after getting his paramedic certification, Steve joined a community service that helped rescue animals stuck in disaster situations. He later went on to help people affected by Hurricane Katrina. However, he also continued his support to the Disaster Animal Response Team by gifting them a vehicle, which must obviously have come as a big help for them. The reason he is believed to be a true community man by many, however, is that he once also ended up risking his own life to save the life of a driver stuck in a vehicle after a dangerous accident. This extremely brave effort from Steve was widely recognized and appreciated, and he also received the Medal of Valor from the Burn Institute by the San Diego County Board of Supervisors. Being a paramedic, he was able to handle the situation as a professional would, and although the man was badly stuck in the vehicle, he managed to restrict the situation from getting worse till help arrived and also provided the injured man with some emergency professional assistance. There are many more social contributions to Steve’s name that may have not been much talked about, but are probably still worthy of appreciation. 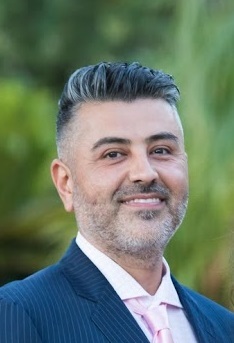 From personally going to California to help and feed the hungry people himself (despite his extremely busy schedule at Shore Hotel) to providing immediate help and assistance to those injured in awful tragedies, Steve Farzam has certainly did more things for the community than one can expect of someone leading a successful company as a COO with a very busy schedule. Steve being a “community man” is something even his employees would probably vouch for. There have been videos of employees talking about how they feel great working at Shore Hotel, thanks to the great management and their employer (Steve) who have been constantly working to help them advance in their career, which not many employers bother doing. Steve has been making sure his employees go for regular training sessions as well as also actively invests in their education. This helps them improve their skills and progress in their career faster than they otherwise could. This is obviously a rare thing to do by an employer given that profitability of the company is usually the main focus for many. However, if you ask one of Steve’s employees, you would get a different answer than what you may be used to when talking to employees working for other companies. Also, if you couldn’t already guess, Steve is an avid animal lover as well, and right from starting to work with the Disaster Animal Response Team, he has been contributing to make the world a better place for the four-leg creatures. He decided he want to do something for the community when he was in college and working on getting his paramedic certification. Of course, his education helped him quite a bit in his mission to help the community, including in the case where he helped save the life of a man. Finally, despite all the social work and helping the employees’ improve their skill set (which obviously can be a bit hard on the company’s revenues), Shore Hotel has been showing a steady growth. In fact, it currently sits at one of the top few positions when it comes to the best hotels in Santa Monica.